The Hibba Free Rider & Rocking Bike. The best bike you will have sever seen, and that is a promise !! 'I have never seen anything like this' said one of our customers when they first saw this advertised on our website. We know it will delight your little bundle of joy and also be a showpiece in your home. 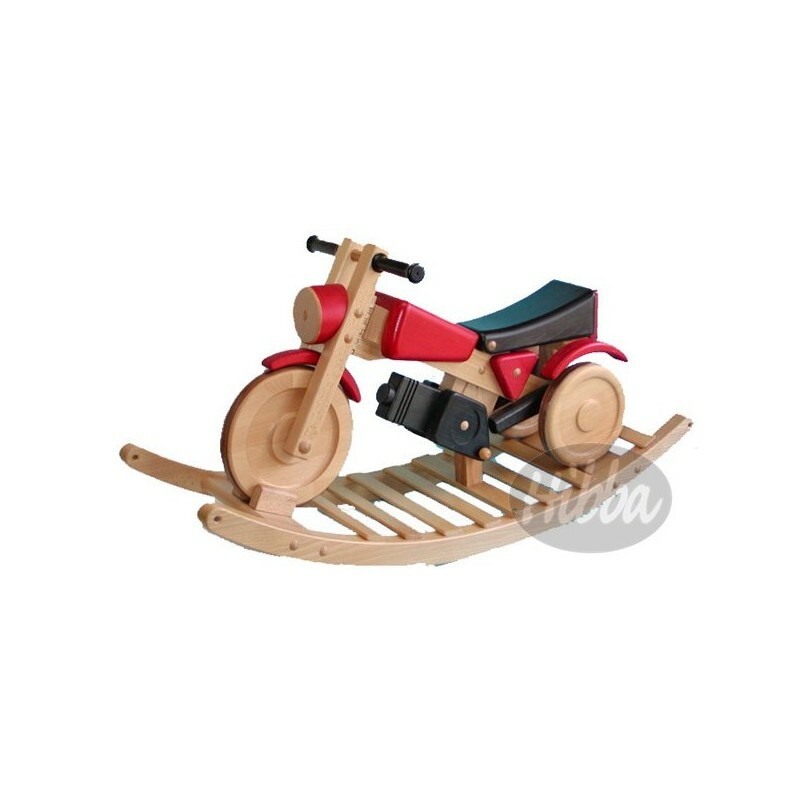 Crafted and finished by hand by our master craftsman, this rocking wooden trike has been finished to an exceedingly high quality and specification. The wood used is beech and is from sustainable resources. This is one of our most popular rocking bikes as it is a 2 in 1 bike, hence named the 'combo' bike. Your child can rock on this versatile bike and when he/she wants to do something different the bike can be taken off the rocking base and be used to ride around the house, on its 3 wooden wheels !! !, what an amazing design. This bike is the ultimate rocker and is absolutely immaculate with a lovely red and black finish. Can you find a better rocking bike elsewhere?? 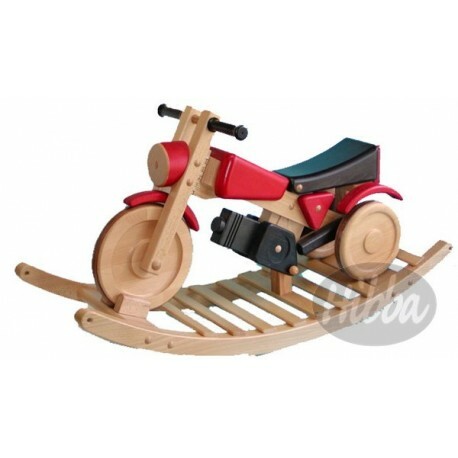 Each bike is individually hand crafted and finely detailed to provide hours of fun and enjoyment for your child. We guarantee that you will not be disappointed with this product and your child will look back at this bike in years to come and can be passed down to the next generation. Dimensions: 95cm length, 33cm wide, 39cm high to saddle.